Associations are often forced to resolve disagreements with unit owners, contractors, management companies, and even local governments. Whenever these disputes arise, your Association should have an experienced and well-qualified law firm to represent its interests. Counseling the Association on any legal matter facing same and taking action to protect and promote the legal rights of the Association. The nature of legal services needed by Associations is as varied and individual as the Associations themselves. Legal services for Associations involve a combination of more conventional specialty areas including real property, corporations, litigation, contracts and insurance. Condominium and Homeowners Association attorneys must be educators, problem preventers as well as problem solvers, corporate advisors, decision facilitators, and advocates. At Basulto Robbins & Associates, LLP we strive to provide a level of representation which surpasses the expectations of our clients. 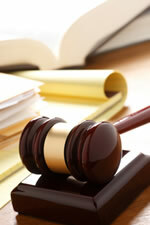 An Association has to be ready to face any legal issues that come its way. If a unit owner challenges an amendment or provision of the Declaration of Condominium/Restrictions, the Association and its attorney must be ready to face that challenge. We have compiled a team of litigators, well equipped for the battles, along with a team of even-tempered transactional Association attorneys who focus on areas such as resolving disputes internally, interpreting and updating governing documents, enforcing covenant violations, assisting with transition to owner control, and dealing with any of the questions that arise in the operation of an Association’s business. We are always available and accessible to our Condominium and Homeowners Association clients as well as their authorized agents. The Firm takes great pride in providing personalized legal services for each of our clients, irrespective of size. Our goal is to exceed client expectations while providing cost-effective and innovative legal services to our Condominium and Homeowners Association clients.